Despite indications of a possible alliance between TRS and BJP in the 2019 Lok Sabha polls, the saffron party sharpened its attack on TRS. Despite indications of a possible alliance between TRS and BJP in the 2019 Lok Sabha polls, the saffron party sharpened its attack on TRS. Claiming that “corruption was rampant”, the BJP alleged misuse of power over the last four years by TRS. “It’s undemocratic that the ruling party wants to advance elections,” said senior BJP leader Bandaru Dattatreya, while addressing the media along with State leaders K Laxman and Kishan Reddy.“What happened to the promise of giving tap water connections to every household? The Chief Minister had himself said he would not ask for votes without giving tap water connections; what happened now? Mission Bhagiratha has achieved only 30 per cent of its target,” Dattatreya alleged. Meanwhile, Telangana TDP claimed, rather maintained, it would play the role of “kingmaker” after polls. “People will not like the Nizam’s rule imposed on them. If you see the manifesto, none of the promises have been fulfilled. It was just lip service,” said TTTP president L Ramana, while also claiming that without his party, no party can form the government. The CPI, meanwhile, claimed that the caretaker Chief Minister feared a loss of attention if the elections were to be held next year. “He will get more isolated if elections are held next year and that’s why he wants it as early as possible,” said the party’s national general secretary Suravaram Sudhakar Reddy. Hyderabad: BJP leaders seem to be fearing some sort of backlash from KCR in the run-up to the elections. A battalion of 15 saffron party leaders, including K Laxman, Bandaru Dattatreya, G Kishan Reddy, and NVSS Prabhakar, met the Governor on Thursday and submitted a letter to him. 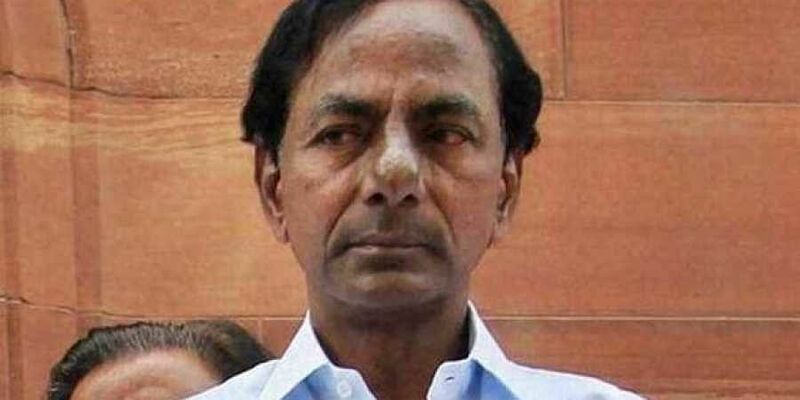 In the letter, they elaborated on their apprehensions of “autocratic rule” by KCR as the caretaker CM. They wanted the Governor to ensure smooth functioning of the State. “The care-taker CM and government would have very limited role in actual governance. However, given the nature of the CM, there is every possibility that he would intervene in everything to get his way. As the custodian of the Constitution, especially when there is a caretaker government in the State, you have greater responsibility of protecting the Constitution from the mavericks of the CM,” read the letter. “We request you to instruct police officers to refrain from booking false cases or keeping opposition party leaders under house arrest on some pretext or the other,” it added.